Alberta is one of the socially as well as economically dynamic provinces of Canada. The most amazing thing about Alberta is that its economy is growing at a rapid pace. This province is in Western Canada and owns vast area with abundant natural resources. It includes Calgary and Edmonton, which are two largest and most important cities of Canada. Furthermore, Alberta is the densely populated among other three of ‘Prairie provinces’ of the country. While discussing the scenic beauty of this province, it homes to some of the most astounding national parks like Banff and Jasper. 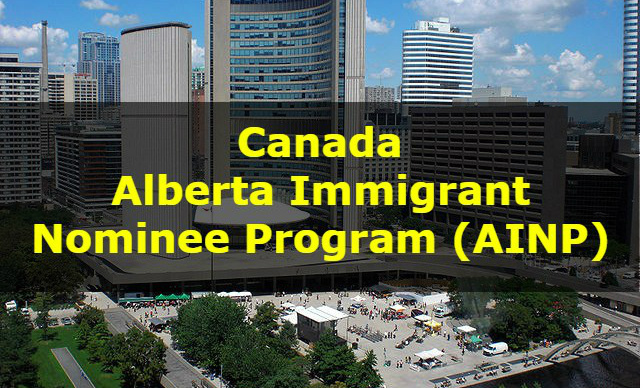 Alberta’s Provincial Nominee Program (AINP), targets those prospective immigrants, having required skills and experience. Such applicants may receive an Alberta Provincial Nomination Certificate, which is necessary to accelerate immigration process. This stream is for those individuals having required experience in farming. Such individuals must have sufficient personal funds to develop a farm in Alberta. Purchasing a farm is essential to apply for permanent residence in Alberta. In other words, successful immigrants are only those farm owners, who are willing to manage their farming business in Alberta. Employers can nominate workers to AINP, for Canadian immigration through this stream. Employer-Driven Stream is beneficial for both employers and employees. After becoming permanent residents, applicants can seek their bright job prospects. On the other hand, employers are capable of retaining the specific number of workers they require. There are following three Sub-categories, associated with this stream. Semi-Skilled Worker Category – This sub-category is for those temporary foreign workers having a full-time and permanent job offer from an Alberta employer. However, such applicants must fulfill the eligibility criteria for semi-skilled occupation. International Graduate Category – Those individuals, having graduated from a post-secondary institution in Canada, fall under this sub-category. In addition, they must hold a valid Post-Graduation Work Permit. To avail permanent residence through it, full-time job offer from an Alberta employer is also necessary. Skilled Worker Category – It deals with applicants having a permanent, full-time job offer in an eligible skilled occupation. Working in Alberta during processing of the application, is not essential. Post-Graduate Worker Category – Post-Graduate Worker Category is ideal for those individuals, having graduated from a post-secondary institution in Alberta. Only those applicants, working in Alberta on a Post-Graduation Work Permit are eligible to apply for this program. Compulsory and Optional Trades Category – Tradespersons having either an Alberta Qualification Certificate or any other Recognized Trade Certificate seek permanent residence through this category. It is also necessary that applicant must be a resident of Alberta and work through a valid work permit, during submission of application. The work may include either optional or compulsory trade. Engineering Occupations Category –Engineers, drafters and designers with Alberta work experience are eligible for this sub-category. Nevertheless, individuals must work in at least one of the designated occupations. Copyright © 2019 immigrationexperts.pk All rights reserved.